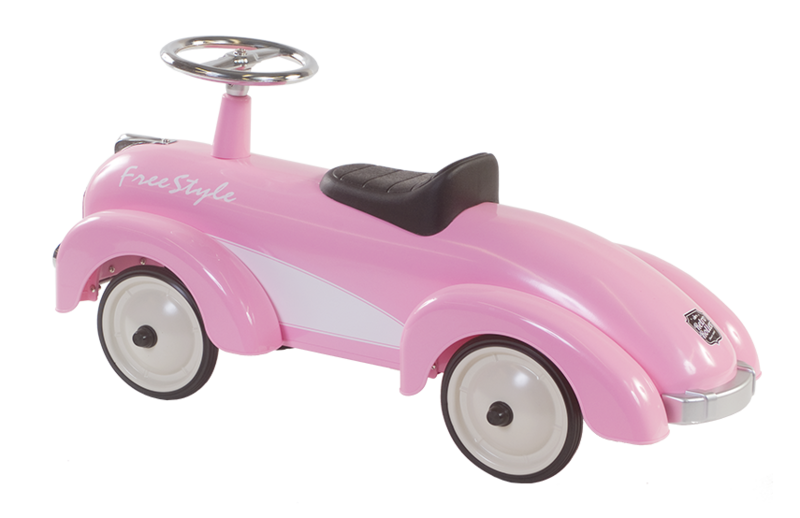 A super cute pink retro roller in the shape of a cadillac. Super chique transport, on which you surely will be noticed. 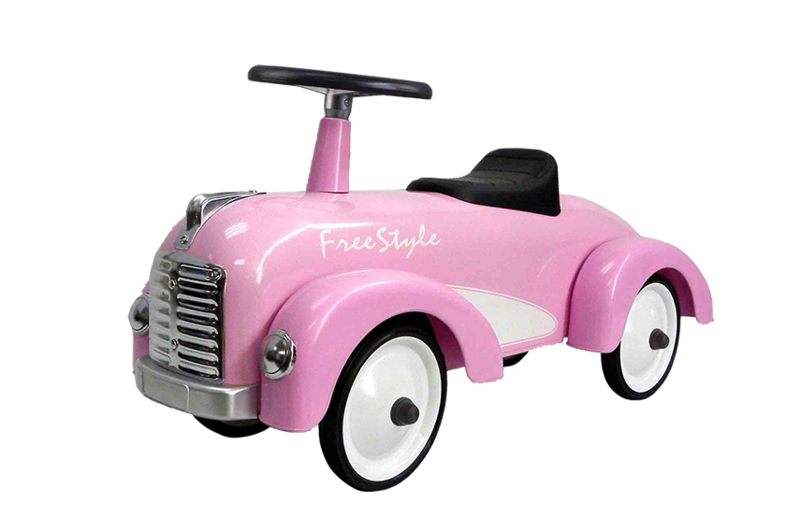 Metal wheels, rubber tyres and plastic seat. Hours of playing fun!